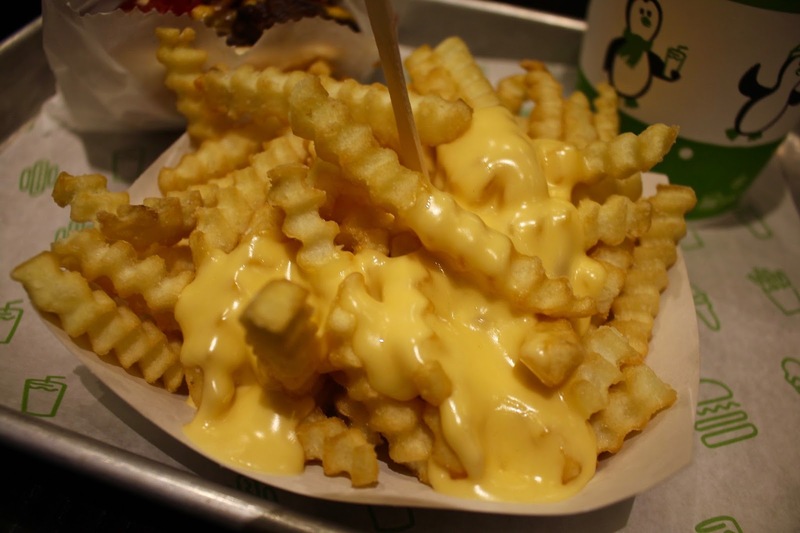 Kirstiekins Blogs: IS SHAKE SHACK WORTH THE HYPE? 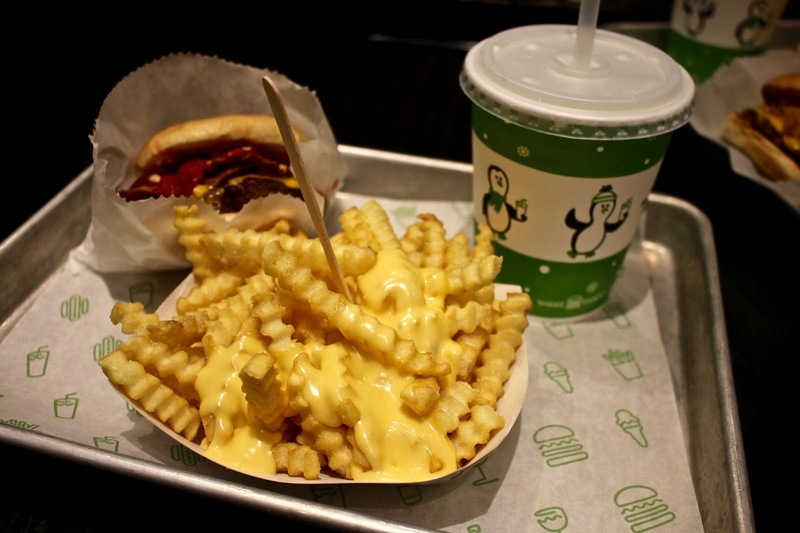 IS SHAKE SHACK WORTH THE HYPE? In short? No. But let me tell you why. Whilst waiting to see part two of Harry Potter and the Cursed Child, a friend and I had the opportunity to visit Shake Shack in Leicester Square After reading some raving reviews online we thought we knew what we were getting ourselves in for; world-class burgers, world-class service, a world-class experience. Sadly we were mistaken. You order your overpriced food at a counter, given a pager, and then told to go and take a seat. Eventually, the pager bleeps and you have to go back and collect your food - in my case, leaving my bags and coat unattended (as I had been shopping beforehand), going downstairs, collecting the food, and then making my way back through a crowded restaurant full of screaming kids, in the hopes that my stuff was still where I left it. I ordered the Smoke Shack burger (Cheese, Bacon, Burger Patty and Cherry Peppers) which was smaller than expected - I have had bigger burgers from almost every child's menu I have ordered from, and the bacon was burnt. I would have been okay with the size of the burger if it hadn't cost me nearly £8.00. Though I enjoyed the cheese fries, the chips were slightly cold, but I was not prepared to make my way through the busy restaurant, and get back into the excruciatingly long queue. Judging by the remarks of other people in the restaurant, cold chips were a common downfall from multiple guests. There are some other interesting items on the menu which I would be willing try if I ever went back, however, after the experience of this visit I do not think I will be going back any time soon. From a restaurant named solely after it's milkshakes, I expected some interesting flavour combinations, however, aside from the Leicester Squared, there was nothing new or intriguing on the menu. I was shocked to find that the standard shake size (or standard any drink size) was the same size as the drink you would get in a Happy Meal. I was so disappointed in the milkshakes at Shake Shack, that as soon as I left, I walked across the street to McDonalds, and bought myself a large milkshake which was at least three hundred times better than the one at Shake Shack and a lot cheaper too! 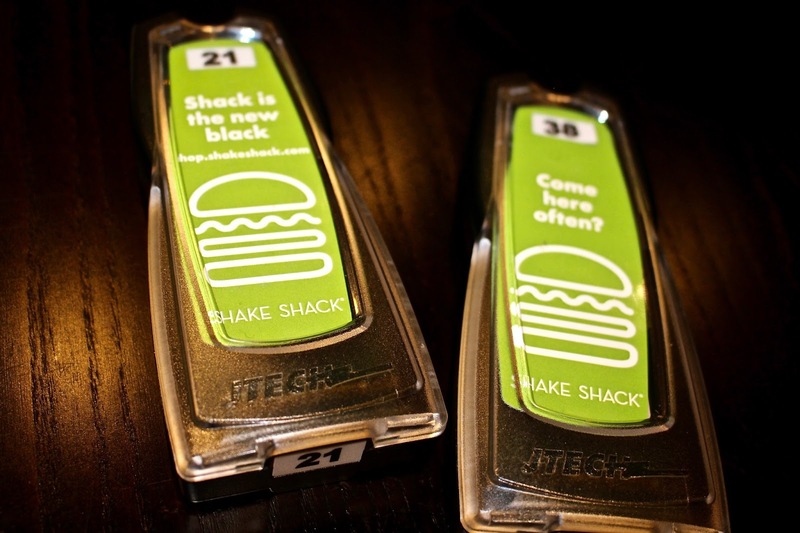 In my personal opinion, Shake Shack is just another American chain with a gimmick, trying to find it's way into the UK market. Unless you are into tiny over-cooked burgers, cold fries, and pointless excuses for milkshakes I wouldn't bother. Save your money and go elsewhere. I was not asked to write this post, I just wanted to share my views.